Last Sunday , Michelle and I went to check out the Pride Parade in downtown Toronto. For many years now, I’ve wanted to check out the parade, but inevitably something comes up at the last minute and I’m not able to go… My health was not the greatest last Sunday and it almost derailed our plans of going, but in the end we were able to make it there after all. We arrived at the College Subway Station just after 1pm thinking that it would be more than enough time to get a great spot, but we had to walk all the way south of Gerrard before we were able to get a somewhat decent place to stand. More than one million people were expected to attend! The parade started at Bloor & Church at 2pm and took about half-an-hour to get to Yonge & Walton where we were. I was pretty surprised that the parade was almost three hours long! It was a super long time for me to stay standing and I paid for it by being bed-ridden and super sick for the next two days… Argh! I ended up with just under 1400 photos, (so needless to say it took me quite a while to go through them all), but I was able to narrow them down to about 400 or so. Mid-way through the parade I noticed that my camera settings were messed up, so I expected a lot of the photos wouldn’t turn out that great. The thing is, a lot of people in the parade carry water guns. So with no advance warning, I had to constantly duck and cover my camera so it wouldn’t get sprayed with water – the controls got bumped to another setting more than once and I didn’t always remember to re-check it. Oops. 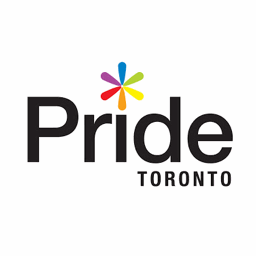 Toronto Pride Parade 2013 was published on Saturday, July 6, 2013 at 3:33pm EDT by Daniel Menjívar and last updated on April 11, 2018 at 9:30pm UTC .